Another new startup hub is popping up in Midtown, as referenced in a recent article in the Atlanta Business Chronicle. 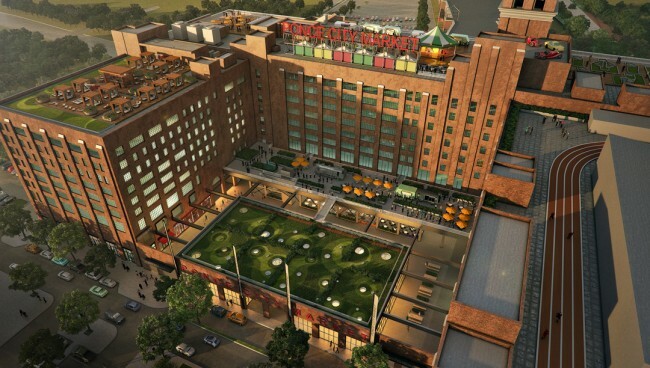 Ponce City Market may soon be home to companies such as Cardlytics, MailChimp and athenahealth. Additionally, Scoutmob founder Michael Tavani has recently unveiled his plans to start a $2 million incubator for design and consumer startups in the newly renovated development, bringing additional entrepreneur spirit to Midtown. Ponce City Market joins the likes of the Flatiron Building, Buckhead’s Atlanta Tech Village and Atlanta Technology Development Center at Georgia Tech. Each of these incubators offers networking events and workshops to educate and inform Atlanta’s startups to help them survive and thrive. Since Atlanta is quickly becoming known as one of the fastest-growing markets for startups, investors are seeking areas to develop new venues to accommodate this group of hard-working and passionate entrepreneurs.